If you would like an accessory that can stand the test of time, what do you need to search for? Nothing can be as timeless as a watch. Not only is this accessory functional as this can help tell time, a watch can make any outfit pop because of its timeless elegance. Searching for the right watch is not an easy thing to do. There are a lot of brands and models to choose from. Watches may also come in various price ranges. Some can be very inexpensive and can be worn every day. Some are made with good quality and are priced just right while there are also some highly expensive watches that just deserve to be checked. No need to search for various watch brands that may or may not offer the styles that you are looking for. 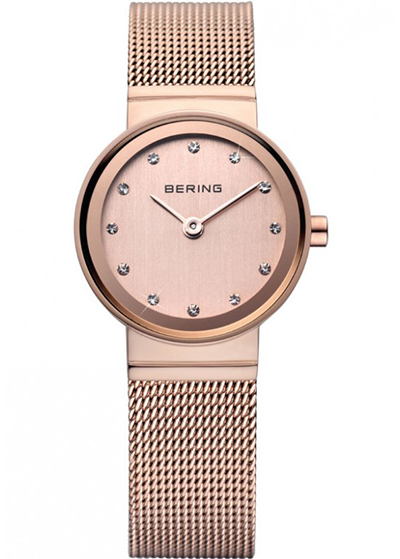 The moment that you see Bering watches, you will know immediately that it can offer various styles that will delight you and will fit seamlessly with the rest of your wardrobe. The Arctic beauty of Bering watches can be very hard not to notice. You can immediately tell from the way they look and feel that these are watches that you can wear for your whole lifetime. Perhaps if you take good care of them, you may even pass them on to the next generations to come. Choose from various finishes and styles and you will surely have a timeless and classic watch on your wrist. This entry was posted in Bags and Accessories and tagged timeless piece of accessory, watch, wrist watch on March 16, 2016 by Mommy Yam.